Biscuit maker Mrs. Bector's Food Specialties Ltd and automotive and aerospace component manufacturer Sansera Engineering Ltd have received regulatory nods to float initial public offerings (IPOs). 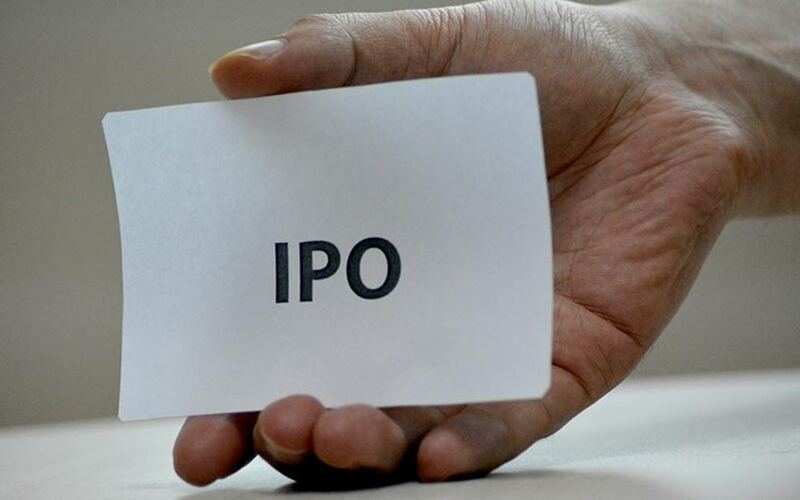 With this, the Securities and Exchange Board of India (SEBI) has approved 65 IPO proposals in 2018. Last year, it had cleared 46 proposals. Ludhiana-based Mrs Bector's Food, which counts private equity firms CX Partners and Gateway Partners as its backers, filed its draft proposal on 13 August. The IPO entails a sale of shares worth Rs 800 crore by promoter Ajay Bector and CX Partners and Gateway Partners. It will result in 26-27% stake dilution, valuing the biscuit maker at Rs 3,000 crore ($428 million). CX Partners and Gateway Partners have proposed to sell half their stakes in the IPO. In December 2015, a consortium led by both had acquired a significant minority stake in the company from Ajay Bector Group and Motilal Oswal Private Equity. After dilution, CX Partners will continue to hold roughly 11.5% stake worth Rs 350-375 crore, VCCircle estimates show. After the share sale, Gateway Partners -- the investment firm led by former Standard Chartered executive Viswanathan Shankar -- will hold about 12% stake in the company. VCCircle had reported in July 2018 that Mrs Bector’s had hired merchant bankers to help the company go public. IDFC Bank, Edelweiss Financial Services, and IIFL Holdings are the merchant bankers arranging and managing the IPO. Mrs Bector’s joins biscuit maker Anmol Industries Ltd in its plans to go public. Anmol Industries filed its draft proposal in June this year for an IPO that will see the promoters selling the majority of shares. Listed biscuit makers include Nestlé India, Britannia Industries, Prataap Snacks Ltd, and DFM Foods. The biscuits space, dominated by Britannia, Parle and ITC, has not been vibrant in terms of fundraising or acquisitions. Mrs Bector’s was founded by Rajni Bector in 1978. It operates in both the business-to-business and business-to-consumer packaged foods and bakery product segments. It was controlled by three siblings — Anoop, Akshay and Ajay Bector — with equal shareholdings. As part of a 2013 family settlement, Anoop and Ajay took charge of the biscuits and bakery unit, which would be called Mrs Bector’s, while Akshay chose to head the condiments business -- Cremica Food Industries Pvt. Ltd. The two companies share the Cremica brand but operate independently. Ajay and Motilal Oswal Private Equity had sold their stakes in the biscuits business Mrs Bector’s to a group of investors led by CX Partners and Gateway Partners in 2015, though whether they completely exited was not disclosed. In the biscuits category, Mrs Bector’s focuses on high-margin segments like cookies, creams and crackers, with a network of over 1,500 distributors across north India. It also runs a fast-growing bread and bun business under the brand: Mrs Bector's - English Oven. The firm is the exclusive supplier of buns to global quick-service restaurant brands McDonald's and KFC. The company operates through six manufacturing facilities in five states. It distributes biscuits across 11 states in India, through a network of 135 super-stockists and 570 distributors. In addition, Mrs Bector’s products were present in 1,271 retail outlets as on 30 June 2018. The company exports its biscuits to 61 countries through a global distribution network and tie-ups with clients such as Monteagle International (UK) Limited. Bengaluru-based Sansera Engineering's backer Citigroup Venture Capital International (CVCI) has proposed to sell nearly half its stake -- or 13.47 million shares -- in the proposed IPO. CVCI is a private equity fund managed by investment firm The Rohatyn Group. Sansera filed its proposal on 10 August for an IPO entailing a sale of a little over 17.24 million shares, resulting in a stake dilution of 33.5% by both CVCI and individual promoters. The public issue size is estimated at Rs 1,400-1,500 crore ($200-214.3 million). Sansera joins a handful of automobile component firms that recently went public or are looking to go public. These include Varroc Engineering Ltd, Precision Camshafts Ltd, Endurance Technologies Ltd, and Sandhar Technologies Ltd.
ICICI Securities, Credit Suisse Securities (India), IIFL Holdings, Nomura Financial and Securities (India), and BNP Paribas are the merchant bankers arranging and managing the IPO. Sansera, incorporated in December 1981 in Bengaluru, is promoted by S Sekhar Vasan, FR Singhvi, Unni Rajagopal K and D Devaraj. The company makes precision components for original equipment manufacturers in automotive and aerospace sectors both in India and abroad. The firm counts Yamaha Motors, Bajaj Auto, Honda Motorcycle and Scooter India, and Maruti Suzuki as its key clients. The company had 15 manufacturing facilities (14 in India and one in Sweden) and more than 150 personnel at the end of May 2018.